Vanuatu and Fiji drew 1-1 in Saturday’s highly anticipated men’s football clash, keeping both sides’ medal hopes alive with two rounds remaining to determine the standings. The match at the Port Vila Stadium showed how strong these two teams are. 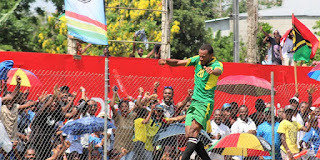 In the opening stages, both Fiji and Vanuatu struggled to score first, but it was Fiji’s Christopher Wasasala who made the breakthrough in the 30th minute, giving Fiji a 1-0 lead. 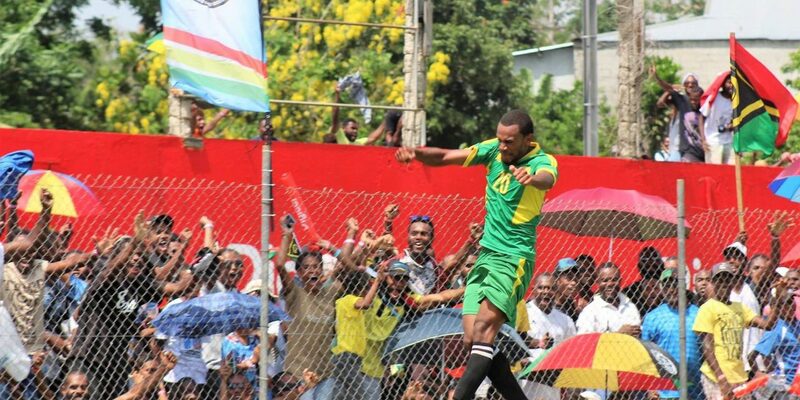 Despite being down at half time and for most of the second half, Vanuatu made a late comeback and equalized through striker Azariah Soromon in the 72nd minute. Soromon’s goal prompted massive shouting, laughing and clapping inside and outside Port Vila Stadium where men, mamas and children alike were watching the game and excitedly cheering for team Vanuatu. Fiji’s arguably superior performance also interested the crowd and showed the people of Vanuatu how Fijians play football. Vanuatu fans continue to provide huge support in the stands of the Vanuatu 2017 football tournament, and were particularly excited to watch two of Vanuatu’s biggest stars play live; Ronaldo Wilkins, who recently travelled to Brazil in the hope of securing a professional contract and Bong Kalo, who plays for FC Ascona in Switzerland. In Saturday’s other matches New Caledonia defeated Tonga 4-2 and Solomon Islands beat Tuvalu 6-0. With two matches remaining for each team, Vanuatu and Solomon Islands are top of the standings with 7 points each, and Fiji remain in contention with 5 points.